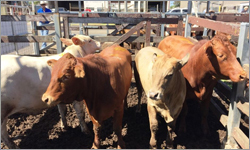 Mixed fortunes are at play in the cattle industry with high prices being driven by strong demand and record low herd numbers. The national herd currently stands at 26 million head, down from 29 million in 2014. Widespread rain in key producing areas has contributed to the price rise, tightening supply and increasing competition along the supply chain. 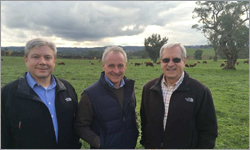 Australia's largest cattle company AACo has just announced a net profit of $67.8 million, up $57.8 million for the end of financial year 2016. 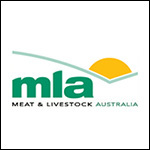 At the Australian Agricultural Company's AGM in Brisbane this morning CEO Jason Strong said the company would be releasing new beef brands over the next three months as it pushed ahead to become a global beef brand. 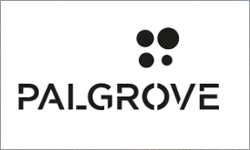 Jason Strong said the impressive financial result was a direct result of recent investments in the supply chain. A military-grade drone has been brought in to aid in a Queensland council's fight against wild dogs on rural properties. 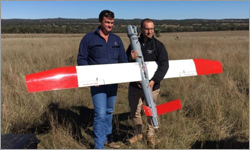 The Southern Downs Regional Council has trialled the remote-control technology on private farmland at Terrica, near the Queensland-New South Wales border, where the dogs kill sheep and cattle. Council's pest manager Craig Magnussen said they hoped the drone would make aerial baiting more efficient by mapping the movement of dogs and other pests before a helicopter set out to drop meat. 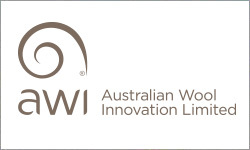 The group has been engaged to assess the viability of the major recommendation of the recent Wool Selling Systems Review: the creation of an online Wool Exchange Portal. 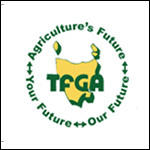 The Review Panel provided its 68 page Final Report earlier this year. It stated a WEP would address a number of issues raised by industry, including reducing transaction costs and digitising the exchange of wool whilst creating greater transparency in the process. As I spent a few days in Western Australia this week, I was reminded of the significant challenges we are facing right across the country and the remarkable resilience dairy farmers are showing in times of hardship. 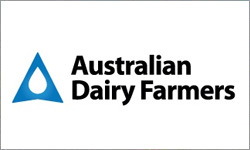 Western Australian dairy farmers have mostly been buffered from export oriented market volatility and have experienced a good season, yet they are not immune from other difficulties. 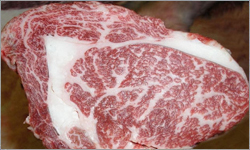 Dorper sheep breeders and processors gearing up for the launch of the Prime Dorper Lamb brand in the next few months are hoping to replicate the success of breed-based beef brands. 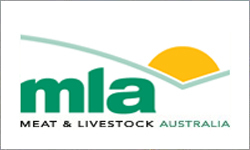 Underpinned by Meat Standards Australia (MSA), the Prime Dorper Lamb brand is seen as the next step for producers to increase awareness of the quality of their sheep meat and ensure a consistent supply to local processors.. 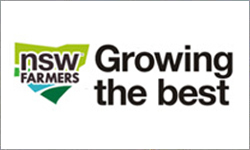 Located in the heart of the nation's food bowl in southern NSW, Henty Machinery Field Days is an agribusiness supermarket attracting more than 60,000 visitors each year. 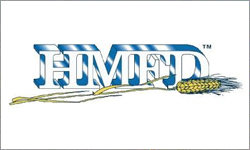 Henty Machinery Field Days is now regarded as southern Australia's single biggest agricultural event, showcasing the latest in machinery and farm equipment, outdoors and camping products, farm produce, agronomy, country lifestyle, government and health services, agribusiness and finance services. 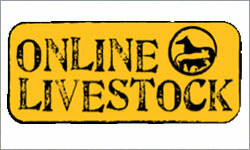 On offer are 164 bulls including 120 Charolais (95 of these are polled) and 44 Ultrablack Bulls. We think that you will be impressed with the quality and consistency of this year’s draft. There are many first time sires represented in the sale which will add value to both stud and commercial producers. We offer a very comprehensive printed sale catalogue as usual (available to view online). If you aren’t on our mailing list, click Request a Catalogue and we’ll send one to you. This year we are featuring photos of almost all of the sale bulls in the gallery at the top of this page. Cutting-edge animal production science will be needed if the world is to meet the unprecedented global demand for animal protein. 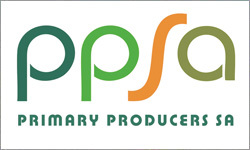 Protein will also have to be produced in a way that meets consumer demands of high welfare standards and is affordable according to the Australian Society of Animal Production president Phil Hynd. 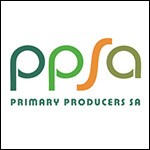 Adelaide hosted the Animal Production 2016 conference where about 400 papers on animal production were presented. 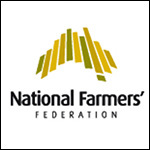 The National Farmers’ Federation (NFF) has welcomed the appointment of the new Turnbull Ministry, led by Prime Minister Malcolm Turnbull, and Deputy Leader Barnaby Joyce. 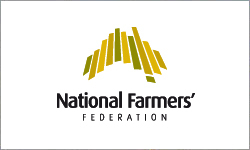 “The NFF has developed strong relationships with the Coalition over the past three years, and we look forward to our continuing engagement with a renewed focus on creating opportunity and growth the agricultural sector,” NFF President Brent Finlay said. 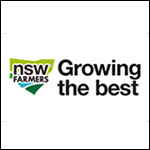 NSW Farmers has welcomed three new Members to the NSW Farmers board. 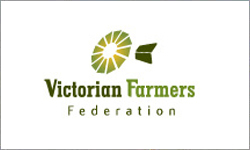 Barmedman farmer Lisa Minogue, Moree grain producer Rebecca Reardon and Coffs Harbour banana and cucumber grower Paul Shoker were elected to the board at the NSW Farmers Annual Conference. 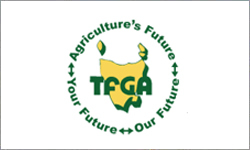 The three new faces join Griffith’s Helen Dalton, Guyra sheep producer James Jackson and Mudgee farmer Mitchell Clapham on the Board. 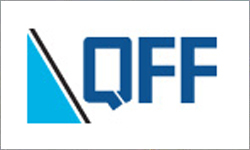 The Queensland Farmers’ Federation (QFF) has welcomed the Australian Government Productivity Commission’s draft report on the ‘Regulation of Australian Agriculture’ that has called for a return to evidence based regulation of the sector. 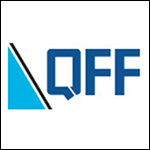 The Commission identified what QFF and industry members have been saying for a long time; that the number and complexity of regulations at every stage of the supply chain weigh heavily on the sector’s productivity and competitiveness. 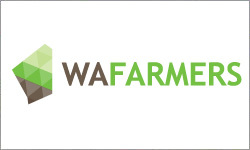 With input from WAFarmers and other farming organisations, the National Farmers’ Federation (NFF) has delivered on their digital initiative of a new online home for Australia’s farming community, with the launch of Australian Farmers today. 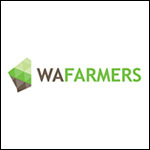 The online platform www.farmers.org.au offers localised weather data to improve decision-making, enables farmers to exchange ideas and advocate on the issues that matter most, and provides the latest news about food, fibre and farming. 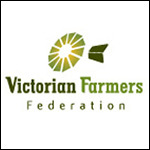 Wimmera grain grower David Jochinke has been elected President of the Victorian Farmers Federation with Quambatook grain grower Brett Hosking elected as Vice President. Mr Jochinke said it was an honour to take over from outgoing President Peter Tuohey. “This is an awesome responsibility that the membership has entrusted me with," Mr Jochinke said.